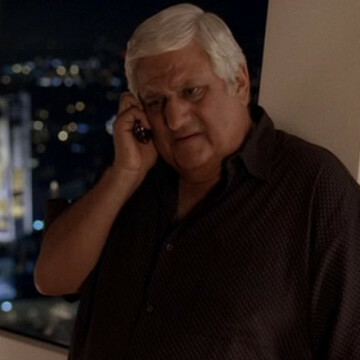 Michael Lerner plays the deep-pocketed producer Joe Roberts during season three’s eighteenth episode, The Resurrection. When Vince refuses a second offer to star in Joe’s Matterhorn project, the producer threatens to purchase the Medellin script out from underneath Vince and Eric. Michael is best known for his role as Mayor Ebert in 1998’s Godzilla and his portrayal of Fulton in Will Ferrell’s christmas comedy Elf.